Home Vape Reviews Box Mods Digiflavor Edge Kit Preview | The Wireless Charging Mod Is Finally Here! 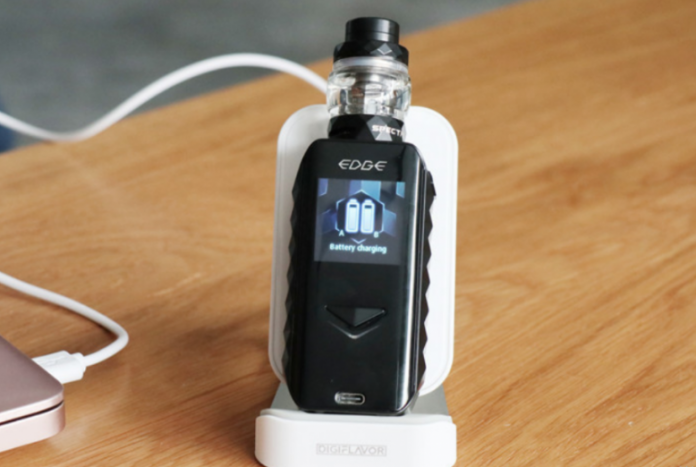 It’s no secret that vape manufacturers try and integrate the latest technological innovations into vape gear. 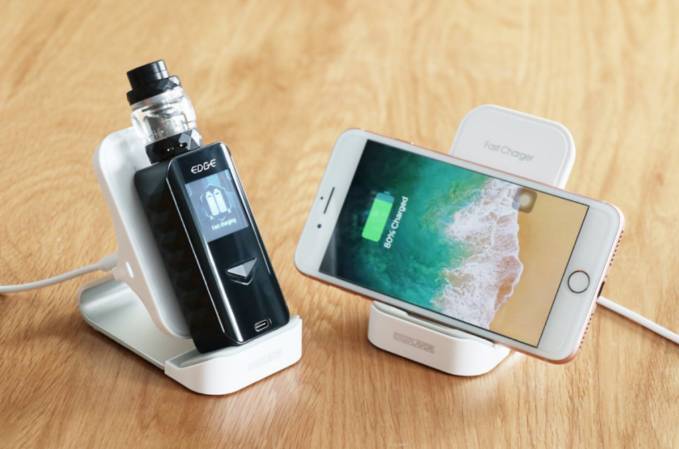 In an attempt to come up with something different, Digiflavor has just announced a new exciting release: The Digiflavor Edge Wireless Charging Kit. This is the first time a vape company has implemented this technology in vape gear, but I am sure this is not completely new to you. Many smart phone manufacturers already added this technology to their products before. Actually, more than 140 smartphones, tablets, and other devices have incorporated Qi capabilities. How does the Digiflavor Edge wireless charging work? First of all, I have to clarify that I am not sure whether Digiflavor will include the charging dock in the kit. The Edge can be charged via USB cable so I am guessing the charging dock is actually an extra that must be purchased separately. Nonetheless, if you already own a wireless charging dock for your phone it should work with your Edge mod as it is Qi capable. Qi technology uses inductive coupling between two planar coils. By simply placing your device on top of a pad or dock, it charges. Now the question is, is it something you have been waiting for? The Edge mod is powered by dual 18650 batteries and has a maximum output power of 200W. Despite its compact size, the Digiflavor Edge can handle tanks up to 25 mm in diameter with no overhang. The 510 connector of this mod is spring-loaded and centered and the resistance range is 0.05-3 ohms in wattage mode and 0.05-1.5 ohms in temperature control mode. This mod has a large LED screen, is really easy to read and navigate too. Digiflavor paired this mod in a full kit with the Spectre tank. This sub-ohm tank resembles the Cerberus tank from Geekvape. In fact, the coils are even compatible, which makes sense if you know that both Digiflavor and Geekvape are sister vape companies. The Spectre tank features top filling with a removable 810 drip tip and it has 4 ml capacity. This tank comes with a pre-installed mesh coil reading at 0.15 ohms that can deliver stunning flavours. What’s inside the Digiflavor Edge kit? The Digiflavor Edge kit comes with the Edge Mod, the Spectre mesh tank, a USB cable, a warranty card, and a user manual. As mentioned before, it is hard to say yet if Digiflavor will come up with a full kit including the charging dock too. The sample version I received from the manufacturer came with only that, so I will update this post when the Edge kit goes on sale which should be happening in December. Digiflavor came up with a very smart proposal: simple but functional design, compact size, large battery capacity and appealing new charging technology. Charging your mod wirelessly is a cool feature that many won’t be able to resist. For me, this is a really smart move from Digiflavor and if the sales work, I am sure many others will follow. But is Qi technology really needed in vaping? Possibly not. But was it really needed in smartphones and tablets? Do we really need many new features to be added to devices every year? For me, the answers are NO. Although some of these innovations succeed and make our lives a bit better. Feel free to hit me in the comment section below with your thoughts about wireless charging in vaping!